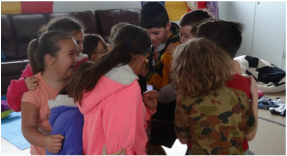 Alongside a high quality SEL program, Anna teaches a curriculum that combines a cognitive behavioural approach and emotional intelligence. Her programs focus on mindfulness, fostering self-regulation and emotional intelligence. Therefore, teaching children mindfulness, and social/emotional skills will increase their ability to focus on their school work, take responsibility for their choices and behaviours, and be part of their school and community. Series of six workshops with a focus on teaching self regulation and emotional control. This program is designed to build healthy self esteem, positive self regard and positive coping skills. Students also learn about self-talk and how their thoughts create emotions that fuel their behaviours, thus empowering them to make better choices. Series of four workshops teaching students to identify and develop personal strengths, learn how personal strengths contribute to positive relationships, learn how to use personal qualities and strengths to deal with every day challenges, learn about co-operative behaviour and recognise how different strengths help people learn and thrive. Mindfulness teaches students to pay attention and be more mindful. Research shows it increases emotional intelligence and resilience. It makes students feel good, increasing positive emotions and self esteem. It reduces stress and leaves students feeling calm and focussed, ready to learn. Mindfulness meditation is included in each SEL program. It is also taught on its own, as a series of ten modules. Each program can be delivered as a 2 or 3 hour workshop. 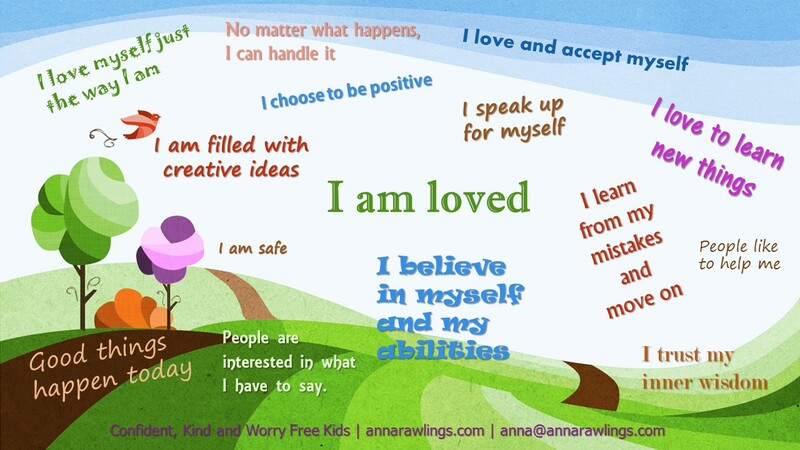 ​Anna Rawlings is a qualified teacher and wellbeing practioner. Her programs are designed to teach mindfulness, foster self regulation and emotional control, teach children how to respect and value themselves and others, develop positive relationships, build self esteem, develop kindness and compassion, reduce stress and deal with anxiety. These are the skills identified for living a happy and successful life. For more information or to arrange a meeting, call 0401 525 430, email anna@annarawlings.com or use the contact form below. Please provide your phone number if you would like me to call you.